I usually don't bombard you with so many fashion posts, but there was such a great showing for eyewear at this year's Globe awards Sunday night, I have to post about it. 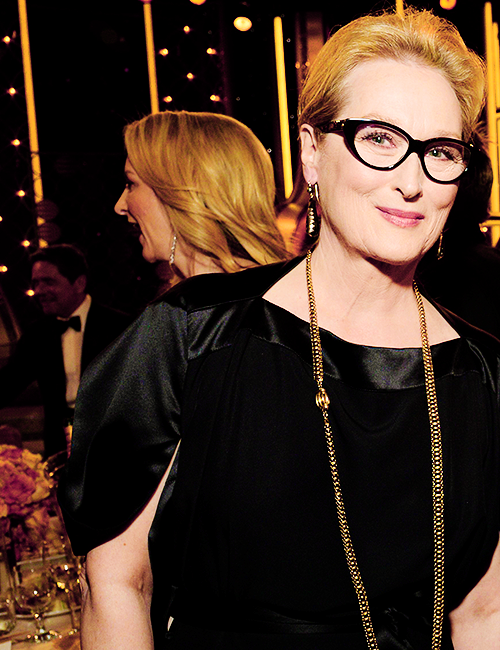 Meryl Streep's glasses were perfectly paired with her black dress, but what I truly love about this look is that Meryl Streep is telling us it is okay to need glasses. We all know she is in her 60's. Of course she needs glasses. Don't you think it is strange that more celebrities don't talk about their vision changes? 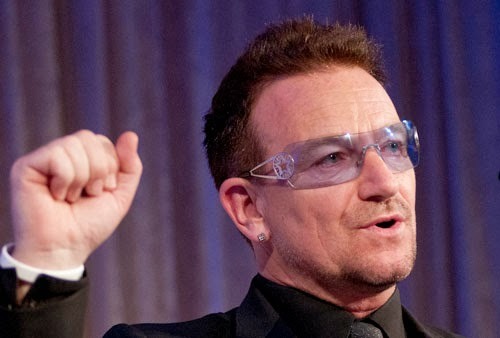 Isn't it odd you don't see celebrity endorsemens for progressives or multifocal contact lenses? Everyone needs glasses at some point after 40, so let's be honest people and start talking about it! 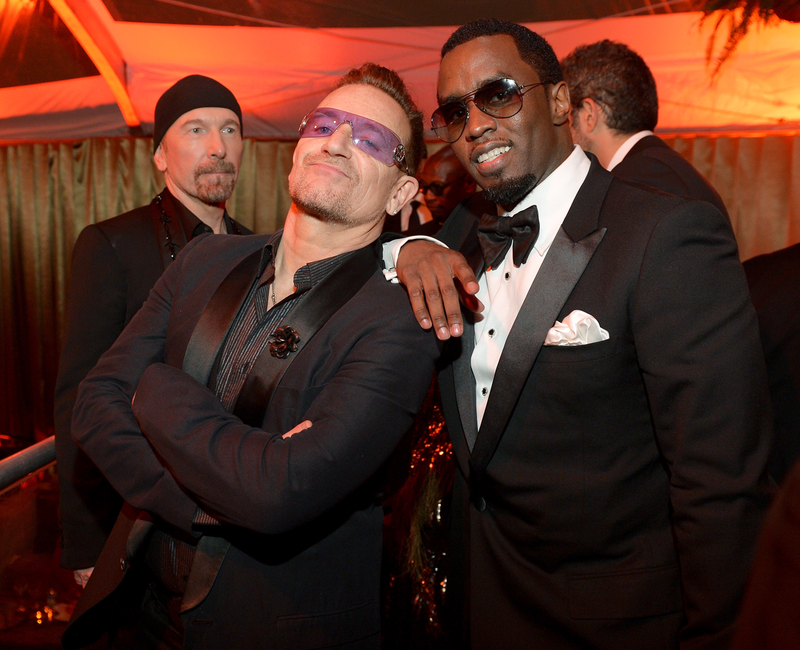 Bono's purple tinted lenses were definitely a different take on the night's eyewear appeal. The futuristic style was similar to many of the safety-inspired looks seen on the red carpet last year (a la Michael Kors). You can almost picture a Google Glass nesting over one eye. Sean Combs opted for more traditional sunglasses, with a gradient tint that is so popular right now. Yes, he did wear them indoors. Diane Keaton also chose a black zyl frame. She's no stranger to a great pair of glasses, and like Meryl, I would love to see someone in the glasses or contact lens community using her as a spokesperson to talk about how we can improve the lives of everyone over 40 with a visit to the eye doctor! And how can I resist this picture of Julia Roberts being a human woman. Shoes off, a coat for extra warmth, and her glasses on. Yes people, she is also 46 so she would be another wonderful spokesperson for presbyopia if someone bothered talking about it in the general public. Love it! It is great to see these women embrace glasses! !